[W]hy is it hard to believe chimpanzees and humans are related (<1.5% codons different), when we readily accept mice and rats are related (>15% different)? [T]here are ten times less differences between humans and chimpanzee genomes than there are between mice and rat genomes (e.g., see The Chimpanzee Sequencing and Analysis Consortium, “Initial Sequence of the Chimpanzee Genome and Comparison with the Human Genome,” Nature 437 : 69). Even with different measures, mice and rats are much more different than chimpanzees and humans. Why? Humans and chimpanzees mutate slower and diverged more recently. Likewise, human and chimpanzee Y-chromosomes are more different than the rest of the genome. Why? For the same reason; Y-chromosomes mutate more quickly than the rest of the genome. Remarkably, the increased divergence of Y-chromosomes is presented as evidence against common descent, rather than what it is: clear and quantitative evidence for common descent. It is not just that humans are similar to chimpanzees, the pattern of similarity and differences is readily explained by the empirically verifiable mathematics of evolutionary science. As noted in the previous post, Chapter 15 does not argue that because the Y-chromosome of humans and chimps is highly dissimilar, therefore common descent is wrong. Rather, the argument is that overall human/chimp genetic differences are greater than what is commonly stated (indeed, the differences are is greater than Swamidass states), and if even one beneficial trait that’s different requires a few coordinated mutations to occur, then the standard evolutionary mechanism of random mutation and natural selection won’t work. What exactly is Swamidass saying in the above passage? It’s not entirely clear, but he appears to be relying upon molecular clocks as an explanation for why chimps and humans are more genetically similar than rats and mice. Molecular clocks are a relatively simple concept. Evolutionary biologists first assume that common ancestry is correct, and then they assume that genes and genomes change, on average, at particular rates. Different clades might evolve at slightly different rates, but the basic principle is that the greater the differences between two genes or genomes, the longer it has been since they shared a common ancestor. As Ann Gauger recently discussed, the genetic data indicate that humans and chimps are probably 10 to 15 times more genetically similar than mice and rats, depending on how you calculate. On its own, this statistic has no profound implication for the merits of common ancestry. However, if we assume common ancestry, then under the molecular clock model, this should most likely indicate that humans and chimps diverged more recently than rats and mice. On the other hand, if it had turned out that human and chimp genomes were far more different than rat and mouse genomes, then molecular clocks might suggest that rats and mice diverged more recently than humans and chimps. There is nothing surprising here. Swamidass seems to think that molecular clock-type calculations have great explanatory value. As he states, “the pattern of similarity and differences is readily explained by the empirically verifiable mathematics of evolutionary science.” But at base, all he’s done is observed that rats and mice are more genetically distant than humans and chimps, and therefore must have diverged more distantly in the past. But are conclusions based on molecular clocks really that compelling? Molecular clock studies also assume that the extent to which sequences differ in similar genes in two or more animals reflects the amount of time that has passed since those animals began to evolve from a common ancestor. A small difference means a short time; a big difference, a long time. To determine exactly how short or long, these studies estimate the mutation rate by analyzing genes in two species or taxa that are thought to have evolved from an ancestor whose presence in the fossil record can be discerned and dated accurately. 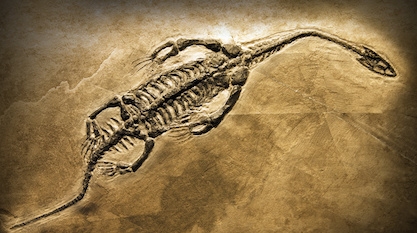 For example, many molecular-clock studies of birds and mammals are calibrated based on the age of an early reptile thought to be the most recent common ancestor of both. Genetic comparisons enable evolutionary biologists to estimate the number of mutational changes since divergence, and dating of the strata containing presumed fossil ancestors tells how long ago the divergence occurred. Assuming that different lineages evolve at the same rate, together the two pieces of information enable evolutionary biologists to calculate a baseline mutation rate. They can then use that rate to determine how long ago some other pair of animals diverged from each other on the evolutionary tree. Molecular clocks thus state that more dissimilar organisms must have diverged more distantly in the past, and that organisms that diverged more distantly in the past are going to be more dissimilar. This is no conclusion worthy of major headlines, reflecting, as it appears, circular reasoning. As Ann Gauger also points out, Swamidass himself uses this form of a circular argument. Is this a circular argument? It sure seems like it. He starts by observing that rats and mice are more genetically different than humans and chimps, and then he infers that this means rats and mice diverged more distantly in the past than humans and chimps. He concludes that based upon this line of argument, through what he calls “the empirically verifiable mathematics of evolutionary science,” we can explain “the pattern of similarity and differences” between organisms — namely the different degrees of similarity between rats and mice, and between humans and chimps. Presumably those “empirically verifiable mathematics of evolutionary science” which explain degrees of genomic differences refer to our ability to calculate rates of change using molecular clocks and divergence dates. But how did we make that calculation? By starting with observed degrees of genomic differences. One can’t claim that evolutionary biology neatly explains the degrees of differences between various organisms using rates of changes and divergence dates that were calculated using the degrees of differences between those various organisms. If this is the argument Swamidass is making, then it’s circular. This leads to another serious problem with molecular clocks. As is so often the case in evolutionary biology, the conclusions are only as strong as the assumptions, and molecular clocks are based upon multiple dubious assumptions. These include the assumptions (1) that species in question necessarily share a common ancestry, (2) that molecular differences between these species are the result of random mutations, and (3) that molecular clocks tick at a constant rate within particular clades. One can’t argue for common ancestry simply by assuming common ancestry, so that takes assumption (1) off the table. Moreover, Gauger et al.’s Chapter 15 in Theistic Evolution does a good job of showing that at least some of the millions of genetic differences between humans and chimps probably are not the result of random mutations (i.e., they encode traits that could not arise by Darwinian evolution due to timescale limitations, as discussed in the previous post). This casts assumption (2) into doubt. There is a second, more telling reason to doubt the deep-divergence hypothesis: the results of different molecular studies have generated widely divergent results. Yet presumably there was only one common ancestor of all the Metazoa and only one ultimate divergence point. For example, comparing the Wray-led study and the Erwin-led study generates a difference of 400 million years. In the case of other studies even greater differences emerge. Many other studies have thrown their own widely varying numbers into the ring, placing the common ancestor of animals anywhere between 100 million and 1.5 billion years before the Cambrian explosion (some molecular clock studies, oddly, even place the common ancestor of the animals after the Cambrian explosion). As Douglas Erwin, writing with fellow paleontologists James Valentine and David Jablonski, acknowledged in 1999: “Attempts to date those branching[s]” from a common Precambrian ancestor “by using molecular clocks have disagreed widely.” How can this be? Sometimes contradictory divergence times are reported in the same article. For instance, a refreshingly forthright paper by evolutionary biologist Lindell Bromham of Australian National University and colleagues in Proceedings of the National Academy of Sciences USA analyzed two different molecules, mitochondrial DNA and 18S rRNA, to yield individual gene- based divergence dates that differed by as much as 1 billion years. Another study investigating the divergence between arthropods and vertebrates found that depending on which gene was used, the divergence date might be anywhere between 274 million and 1.6 billion years ago, the former date falling almost 250 million years after the Cambrian explosion. That paper in its conclusion chose to split the difference, confidently reporting an arithmetic average of about 830 million years ago. Likewise, bioinformaticians Stéphane Aris-Brosou, now at the University of Ottawa, and Ziheng Yang, at University College London, found that depending on which genes and which estimation methods were employed, the last common ancestor of protostomes or deuterostomes (two broadly different types of Cambrian animals) might have lived anywhere between 452 million and 2 billion years ago. Intriguingly, this problem of conflicting molecular clock divergence dates applies to both the supposed date of the rat/mouse split and to the date of the human/chimp split. As Evolution News explained in response to Swamidass previously, molecular-clock-based estimates of the approximate date of mouse/rat divergence vary widely, ranging from 16-23 million years ago to 20-29 million years ago to 33 million years ago to 41 million years ago. Indeed, according to Figure 2 of this paper, individual genes within the mouse and rat genomes could indicate mouse-rat divergence times ranging up to 150 million years! [T]he date of the mouse-rat split is estimated [by molecular clocks] to be between 20 and 29 Myr ago, which is considerably older than the date (approximately 12 Myr) suggested by available rodent fossils and considerably younger than the date (approximately 35 Myr) suggested by Wilson and colleagues. [M]olecular divergence times among sciurognath rodents are roughly four times older than their fossil-based estimates, as was found previously. Because these times were estimated from many genes (343) and did not change when a lineage-specific method was used (e.g., a divergence time of 41 Myr ago was obtained for the mouse–rat divergence), the difference cannot be attributed to stochastic error or increased rate of substitution in rodents. [D]ivergence dates derived from protein sequences (Kumar and Hedges 1998 ) suggest unusually ancient divergences for some rodent lineages, including ∼110 MYA for the separation of the two major suborders Hystricognathi and Sciurognathi and 41 MYA for Mus/Rattus [mouse/rat]. These molecular dates are surprising because they indicate extremely large gaps in the fossil record of rodents and of mammals in general that seem implausible given estimated rates of preservation (Foote et al. 1999). The point here is not that molecular clocks are always wrong or can’t tell you anything or that all of this disagreement therefore means that common ancestry is entirely false. It is that Dr. Swamidass has sought to paint a tidy picture of how evolutionary biology provides, like clockwork, simple and compelling estimates of divergence dates and degree of genomic dissimilarity, when that’s not the case. Swamidass criticizes Chapter 15 for not mentioning that “there are ten times less differences between humans and chimpanzee genomes than there are between mice and rat genomes.” Aside from the fact that the authors weren’t writing about rat or mice genomes, and assuming his quoted statistic is accurate, what are its implications? Swamidass thinks these relative differences are neatly predicted by the mathematics of evolutionary science. But then why doesn’t he mention the frequent failures to accurately and consistently predict divergence times between different organisms — including within organisms like rats and mice? Photo credit: Alexas_Fotos, via Pixabay.